Liverpool are reportedly set to mount an audacious attempt to lure Chelsea youngster Daniel Sturridge to Anfield. The England Under 21 international is a player that boss Kenny Dalglish and director of football Damien Comolli are interested in bringing to Anfield and may feel they have a decent shot at landing the striker as his first team chances seem set to become even more limited that previously. Newly installed Blues boss Andre Villas-Boas apparently has no intention of selling either Fernando Torres or Didier Drogba, but may listen to offers for French international Nicolas Anelka, however the FC Porto boss is reportedly keen on signing his star striker Falcao and/or Santos star Neymar and therefore Sturridge may well find it tough to break into the first team. 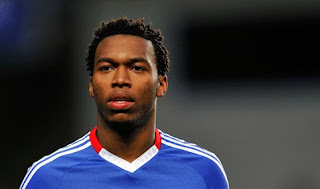 Liverpool are said to have made a move for Sturridge last January but at the time Chelsea were only willing to farm out the former Man City man out on loan and the 21 year old made a big impression at Bolton where he netted eight goals from 11 starts at the Reebok Stadium side.